Hero Numbers Part II: Can they Mean More? As an adult I now realize Hero is a term that is more appropriate when applied to my local EMT making snap decisions under difficult circumstances then a Millionaire Ballplayer throwing and hitting a little white ball. In that way I suppose we should use the term Glamor Number, but Hero Number is what I grew up with and I am sticking to it. This line of thinking let me down a strange path ...Lets look at this years Heroes. I quickly noted that the latter 2 in the group have had various issues with alcohol and substance abuse. Should Hamilton and Cabrera get Hero Numbers? I wanted to find out how much this is noted by fans of the players. When he got in trouble again for drinking and driving, I definitely got very frustrated, as I get every time some knuckleheaded gazillionaire athlete, who could easily afford 10 different limo drivers every night, pulls that crap. He's more frustrating than most for me because he plays for a team I root for, and more importantly he obviously has so much more talent than almost every Major Leaguer that I would hate to see him throw that away. ....while what Cabrera did (multiple times) was very reprehensible, and probably should have resulted in more severe punishment either by the local authorities, MLB or both, I find people criticizing Cabrera and fawning over Josh Hamilton frustratingly hypocritical. When I asked the questions Too Many Verlanders was unaware that one of the other Hero Number Mates was Hamiton. We would all hope the people our kids look up to would be solid citizens who don’t make mistakes. In reality, many athletes aren’t good role models. It could be for any variety of on or off field behavior, but it’s true nonetheless. The thing I like about Josh Hamilton is that he stood up and faced the media, and thus his fans, when he could have just tried to ignore or cover up his recent relapse. All of us make mistakes, but most of us don’t face the scrutiny someone like Hamilton faces. interesting comments all. And I am glad I asked the question. Granted at the time of publication Topps didn't know that Hamilton would tarnish his refurbished image. Regardless It's obvious that Topps didn't really note off the field activities when awarding the numbers. And I ask Why Not? Would you consider it a gimmick if Topps awarded the Hero Numbers to star players who are also solid citizens??? Check the Right Hand Side - Topps sort of owns the concept of Hero Numbers so why not capitalize on it. Award Numbers 100 200 and 300 to star players who are also part of the community and generally on the good behavior side. Hero Numbers could be a topic of instant conversation every year and not just another lame gimmick. Thanks also to Too Many Verlanders and Play at the Plate for some insights into two of the games biggest stars. Just got some news on Phungo Phavorite Anthony Lerew. Lerew is a graduate of the high school that I attended way back in the middle 80s. Fortunately for him, his tenure there is significantly more recent then my own. The Harrisburg Patriot News recently ran this feature on Lerew who is not currently in Major League baseball, but continures applying his trade in Asia. Lerew who spent the 2011 season in Japan will be pitching in the Korean League this summer. In the last 30 years things have changed quite a bit in the little town I grew up in - but a lot of things remain - and I can tell you, Korea and Japan are places kids from the rurals spots of South Central PA don't often think they will ever get a chance to see. In related news my school has a growing baseball program and last year they saw a player get drafted by those stinkin Mets. Joe Tuschak was taken in the 6th round of the 2011 draft and Team Phungo has resigned themselves to the fact that there is at least one Met they will be cheering for in the coming years. It has been reported that Bengie Molina has officially retired. None of them were ever Phillies but I have always enjoyed following the Molina clan and hope to see Bengie Stick around baseball in some capacity. This is the Bengie Molina card I put together for the 2012 Phungo Set. He is catching a warm up toss from then Ranger Cliff Lee. I like this shot. There are often pix of catchers in the crouch but they are always posed, or if in action from the side. During warm ups it gives you the rare opportunity to see the catcher face front from relativley close range. If you look in Molina's Mitt you see the baseball square in the pocket. This pitcher seems a little up in the zone. Which may have been ominous as Lee got lit up by the Baltimore Orioles that day. O's rookie third baseman Josh Bell was the hero of the day as he hit his first and 2nd career Homers both of of Lee. Bengie Molina retires the owner of 1 and half World Series Rings. He won one with the 2002 Angels and was awarded one by the 2010 Giants who he played a half a season for, before being traded too the Texas Rangers squad that lost to the Giants. Molina carreer spans 13 seasons, he retires with 144 career homers and a respectable .274 average. Hero Numbers Pt I: Why Don't We Talk about Hero Numbers? 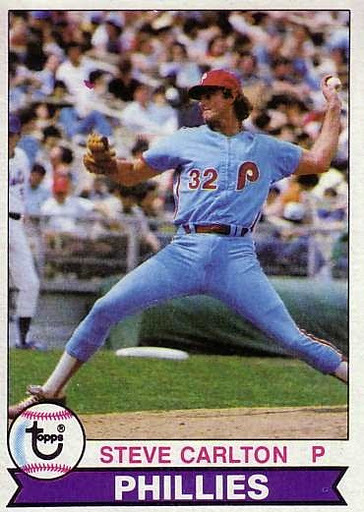 When I collected cards as a kid I had a certain fascination with Hero Numbers and to some extent I still do. Each year I enjoy seeing which players have been awarded hero numbers - and with heritage it is interesting to see what players get paired with stars of yesteryear on those numbers. Recently it occurred to me with literrally hundreds of blogs discussing every topic in the world related to cards we rarely hear any discusiion about Hero Numbers. Heroes are an aspect of Topps Cards that date all the way back to their classic sets of the 1950s. This got me thinking, am I the only person that gives a damn about hero numbers? Am I just numbers obsessed with numbers while the typical collector views them as fluff. This led me to ask around for some outside opinions. One of the folks I thought of turning to was our resident Mathamatician, Reds Fan, and Super BoxBreaker Chris from Nacho's Grande. I was interested on his take on numbers and our perception of them. Although mathematicians don't think of numbers in terms of "hero" numbers much - they do think in terms of different bases. For most of us, we are used to counting by tens (base 10) so numbers like 10, 100, and 1000 DO hold a special place in a mathematicians heart. Computer scientists are used to base 2 (1s and 0s) so the powers of 2 are their form of "hero" numbers (2, 4, 8, 16, 32, 64, etc.). Ahh - of course - we have 10 fingers and that is the basis for a lot of our numbers thinking - can you imagine if we were all Simpsons - Our hero Numbers would be 80, 160, and 240 - actually they would still be 100 200 and 300, but they woudl occur every 80th card. The 660 card set woudl contain 8 heroes rather than 6.
of course all your Hero Numbers would be in S1 - Series two would only yield 512. Interesting list there - Lets face it only in the Comp Sci world of Binary Numbers is Michael Martinez a Hero Number. I think Desmond Jennings is a prospect - maybe he is a future HN candidate. Next up I spoke with Greg from Night Owl Cards. The Night Owl is one of the stronger Topps enthusiasts among card bloggers and is always good for fresh insight on every aspect of collecting. I've read hero numbers in the past from older blogs, like The Baseball Card Blog. I thought it was something that had been addressed pretty completely already so that's why I've never mentioned it on my blog. As for what I think: I grew up with the hero number system, so it makes sense to me. At some point in the '90s, Topps got away from it. Now it addresses it -- sort of. It seems to be that it uses an appropriate hero number whenever it feels like it -- which is basically Topps' philosophy in everything now. "If I feel like it." Personally, I'd like Topps to do what Fleer used to do -- group each team together by card number. Maybe it wouldn't look as great in a binder, but it sure makes it easy for collectors in other ways. Interesting take here - Has Topps devalued the Hero Number by ignoring them? Recently Topps Series 1 and 2 have at least given the idea a nod. The Updates and Highlights sets have been sporadic. Heritage only recognizes Hero Numbers to pair active players with their historically significant teammates. I was a little dismayed about all this. Maybe I am the only person that cares about Hero Numbers and that is why they do not get talked about. Perhaps they are too inherently obvious and posting about them is just restating the obvious. The last paragraph from Night Owl also bummed me out. I have never been partial to the Fleer/UD thing of bunching teams together - I like the cards spread out through a set and seeing a binder page with a variety of players - that's just personal preference. I appreciate the convenience of having all of a teams players in one area - for me the variety in a base set trumps that convenience. In the NetWorld there are plenty of places to dig up team set information. Exception - Dammit Topps can you put the League Leaders cards together. sprinkling them through the set is just plain annoying. The American Ultimate Disc League is the first Professional Ultimate League in the Country and Philadelphia is getting a squad. I am far to old to make the team - regardless, I was never that good when I played - but if you're an Ultimate player or an athlete in good condition this may be your opportunity to get into Professional Sports. The Philadelphia Spinners are holding Tryouts on Saturday Night 2/25 on the Penn Campus. For more information visit their website. Today we look at Foil. Unlike most folks, I don't have a huge problem with foil as a design element. Sometimes it looks ncie, often it is overused. It can also be confusting - Remember 2008s Gold and Silver Foil which appeared so similar. 1994 is the last time that Topps has issued a base set without foil. Back then both Nolan Ryan and Robin Yount were in the set. Now they are in the Hall of Fame. To give you an idea of how long ago that was, Yount's Brewers were still in the AL. When the last non-foil set was issued in 1994 The D-Backs and Devil Rays were yet to play a game. Derek Jeter had won a grand total of zero world series and the Red Sox were Still Cursed. Topps has issued 18 consecutive years of base sets with Foil - and in 1994 they as well as well as a few years prior foiled cards were issued as parallels. In short after 2 decades Foil has become tired. Sometimes Opening Day looks refreshing or even better because of the lack of foiil. The Foling of 2012 Topps isn't even that bad - it doesn't scan well, but I don't think that is something that is really complaint worthy. The scanning issues against Topps because it makes it harrd to discuss the cards, but in hand the player names are readable. But falling back on foil as a design element year after year is lazy cardmaking. The Valley Forge Convention Center is undergoing major renovations as part of the Casino that is being added to the facility. Unfortunately this has caused Hunt Auctions to postpone the Philly Shows March edition until June of this year. For More Info from Hunt click here. The Autographs for the Philly show are run by MAB - they had a healthy list of signers scheduled - no info on which of these guests will be part of the June Show. This means the next Major show to come to the area will be the CSA show in Oaks which falls the weekend of 4/27. 2011 - The Year in Card Blogging - Favorite Posts from the Past Year! I was hoping to get a little more response for this and then I sort of back burnered it, but I am finally publishing the Favorite/Best Card Blog Posts of 2011. While I may not have gotten as many folks submitting columns as I would have liked, I was satisfied with the variety. My goal was to come up with the blog equivalent of those "The Best American Sports Writing Year XXXX" compilations that are put out annually. If you checked out these compilations the stories are all over the map - Big time Sports, High school sports, Unknown sports, celebrites etc, but at some level they are connected to Sports. Our goal is similar, but with the unifying theme being sports/trading card collecting. Cardboard Icons wrote this really sweet column chronicling his daughters first game. How could any father not choose this as their own post of the year. Cardboard Junkie - This is great, you get all the emotions of a pack break as only DayF can do them. Finally I went with my Wille Mays post that I teased this feature last month. I like this one because I am talking about cards, and I think I may be bringing some interesting information to the new collector regarding a star and what a specific set has to offer. There you have it, it's only five posts but we cover a lot of territory - Beautiful 100 year old Non-sports Cards, Pack Breaks, Changes in the game, Vintage Hall of Famers and Personal Joys related to sports. I could not have been happier with the selections. If anyone would like to add their own favorite posting to The Best of 2011, please let me know either in the comments or via email and I will add it to the list. For additional information click here. Uncle John's Band who publishes the entertaining Cards that Never Were blog was the only person to submit an entry for our Phungo Challenge on a Pat Burrell card roughly a month ago. For this card UJB went with June 19th 2000. I think he got the right series but I am leaning towards a game that was played the previous day Sunday 6/18. The series is pretty easy to drill down, Burrell's rookie season is the only one he played at first base. 6/16-6/19 was the only Phils home series hosting the Braves that featured a Burrell appearance. The Guest Star on the card is obviously Andruw Jones - pretty strong guest appearance there. Surprisingly not many of Jones' ABs during those 4 games match up with the evidence in this Photo. I pretty much brought it down to a few plate appearances in the games on June 18th and June 19th. In the end, I am pretty sure this is a day game and that is why I went with 6/18. It is true that there is significant daylight early in a night game in June, but the AB for Jones would not have taken place until at least the 3rd inning on 6/19 which would have been likely after 8p. I can't see there being that much light at that time of day. The other half of that theory is that I think Topps and their photographers generally use day games, because of the better lighting. I also worked under the theory that Jones could have been safe on the play. And indeed on Sunday June 18th in the fourth inning Jones did have an infield single. There were other possible outcomes - obviously the ground out, which happened on 6/19 and back end of a fielders choice which may have happened on 6/19. There is a chance that Uncle John's Band is correct and he hti the correct series so UJB you are the winner of the first Phungo Challenge of 2012! I am a fan of goofy stuff where athletes and other celebrities cross disciplines and attempt something a bit out of their comfort zone. For that reason even though I have never seen Hawaii Five-O (the new one, not Jack Lord) I will be watching tonight as Phils Centerfielder Shane Victorino makes an appearance. I believe Five-O appears at 10p on CBS here on the East Coast. From What I understand Olympic Speedskater Appolo Ohno will also be on the show. Phungo 2 Cents: Whats Your Position Topps?? 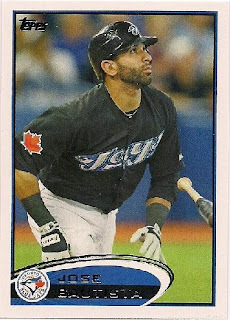 Muy first complaint with the 2012 Topps design is that the player position is not present. From 1953 until 1986 The Players Position appeared on the player base cards every single year but one (1972). That is 33 out of 34 issues. Recently Topps has been more hit or miss with the postion. In the three years prior to 2012 the position was present. 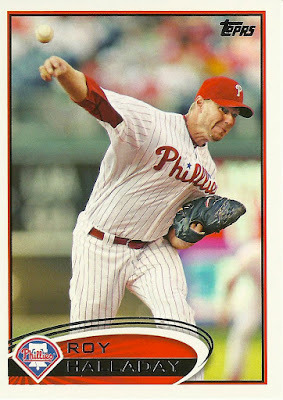 Both 2007 and 2008 did not contain player postion on the card. In such a minimalist design I think it would be easy and nice to add the Position somewhere. This once again leads me back to the conclusion that 2012 Topps was ripped off of 2002 Topps Football - which also did not have player position. Notice I say Like - I don't LOVE it, it is a reserved like. So what if the design is stolen from 2002 Topps Football, I still ended up liking it. A lot of my opinons on everything seems to be based on expectationis, Movies, Music, Books, TV, Linsanity etc. If something gets overhyped - my expectations will quash it. Somethings ridiculously panned inevitably I find something about it to like. I blame myself for this a little - I really enjoy reading reviews and opinions...on everything. But part of expectation setting is due to our overexposed world. I will likely never again see a baseball card design that hasn't been teased on-line for the past 6 months. I mean when did we first see 2012 Topps - probably before Thanksgiving - certainly prior to the Ryan Braun PED issue emerged. Therefore I have seen the 2011 Topps design since clear back in the fall of 2011, which is roughly an eon in internet time. I have also seen maybe two dozen of this years cards prior to release. In a word I initially thought the design was dull. This is where expectations come in - A few weeks ago when I got the actual cards in my hands, I liked them. I had low expectations base on prelease materials and I think largely because of this, I was like hey these aren't bad looking. Typically I don't like minimalist design on cards, but some of these designs grow on me. 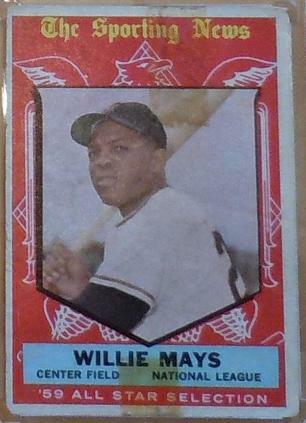 2012 Topps makes me think of 1961 Topps - There isn't much to it but it is funcitonal. Maybe it didn't require much imaginations - and it does make me wonder which designs were rejected. Regardless I like it well enough. I like the pictures and I like the fact the design carries quietly through to the card reverse. I wanted to get this post up because in the future I will speak to some issues that I don't like about the set such as Foil, Gimmicks, and Inserts. 1979 Topps will always be special to me as the set was given to me as a Christmas present when I was a kid - I still have the set in a nice box sorted by team. I have a post about the set floating around in my head - just haven't commited it do a posting. Wanted to give 1979 Topps a shout out and a thanks for recognizing our work over here at Phungo - also nice to get Bobby V off of the most recent post marquee. 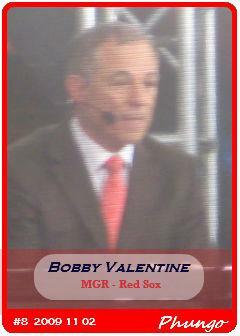 Not sure about this, but I believe this is the first Red Sox card for Bobby Valentine. And this year Phungo Cards have a few short printed variations. This is a card that recognizes Bobby Vs stint as a player with the Dodgers back in the 1970s. 2012 Topps and 2002 Topps Football - Separated at Birth? Is 2012 Topps really just the offspring of 2002 Topps Football? Both of them have the same Hindenberg in the bottom left and really not much else to the design - right up to the fact that neither card has the player position. In this particular example Brendan Ryan and Tom Brady are in fairly similar poses, ball in hand and ready to throw. The fact that Brady can be compared to Ryan may explain his performance in the final quarter of the Superbowl. The think that may be of interest to collectors is they have some Pannini Products (non-sports cards/stickers) on clearance. I think the number was roughly 60% off at our local store. They had the sticker albums for the last 2 years of NFL stickers on sale for 49 cents. They also had a bunch of oddball items - There was a Joe Mauer action figure mixed in there for some reason. For you tech geeks they were also cables and various gadget connectors etc on sale at about 1/2 off. Locally Carl's Cards in Havertown is participating. A couple of Phils from my childhood. These are from the UD Vintage set. These are the cards that mimic 1975 Topps. Fleer Vintage cards that homage 1954 Topps. Topps Finest Bobby Abreu and Todd Helton - The NG break featured one random team, Team Phungo got the Rockies. Not a great one if you like classic cards, I mean who are they going to put in the Vintage sets Larry Walker? 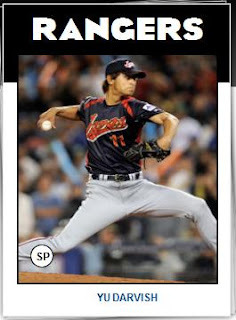 Did 2012 Topps Sandbag Stars out of Series One? While reading reviews and opinions associated with 2012 Topps I notices a handful of bloggers commenting that their packs and breaks lacked star power. Indeed 2 of the 3 players on the AL Wins League Leaders Card were not honored with Series 1 base cards. Did Topps Sandbag Series One in 2012 in an attempt to Backload the Stars into Series 2? This is an odd assumption. I have thought that Series 1 was a little more star laden in the past few years, but maybe I am just jaded by the time Series 2 hits the streets. To look into whether Series 1 is Star Deffered I had to find a way to measure Stardom. Depending on what the researcher values this can be measured a number of ways. Baseball-Reference has an incredible warehouse of information easily accesible. In the end I decided to use something that is pretty unscientific, yet I believe highly fitting - The MVP Voting. The MVP voting is definitely a subjective excercise - but so is Superstardom. Chances are unless your a fantasy geek you first learned about a star player from outside your club via word of mouth, not analyzing their OPS in the Internation League. In each column pair, the player name is preceded by their series 1 card number. If no number is given that indicates that the player was not in 2012 Series 1. Pardon the weird psuedo-alphabetical order. From the chart we see that 33 of the 58 stars received S1 cards. that is 4 more than half, or 57% to be more specific. Even if you add Fielder and Beltran as misses, Topps was above the 50% threshold. This doesn't necessary mean 2012 Topps contains as many stars as years past - it only means that cards were issued for over half of the "stars" in our pool. There is typically some overlap of some cards between S1 and S2 so that may account for the extra 7%. In years past this number may have been greater - if I get the energy we will look at 2011 Topps to compare and cotrast. There may be some other factors at play - I am only investigating Stars, there may just be more unkown or little known players this year - this adds to the perception of less stars. The 2011 release calendar may have hampered getting some rookies into 2011 Series 3 and Topps added them to the inaugural 2012 set. I also think that there are less know stars in the post-steroid era. Stars stick around less time and age out sooner. There is more new talent and we are less likely to know who they are. Also there is the agism factor - the older I get, the harder these things are to track.